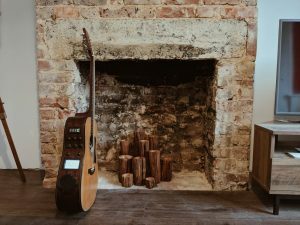 The post A smart guitar for blind, deaf, and mute people appeared first on Raspberry Pi. J. One’s latest project, synesthiser, produces vibration alongside sound, and is an exploration into music production and performance for hearing-impaired people. Its main objective is to make music producing/performing more accessible for those who have a hearing impairment. By producing not only vibration but also audible wave, it could widen the opportunity of designing sound for handicapped and non-handicapped people equally. The build’s interface is a round surface that reacts to pressure and rotation. By turning it with the flat of their hand, users of synesthiser alter the frequency of sounds; by pressing on it, they manipulate the amplitude and modulation of the waveform. 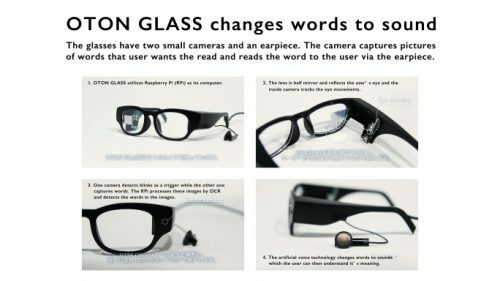 A transducer within the unit provides vibrations that resonate throughout the entire device to let people with hearing impairments experience its sound via touch. 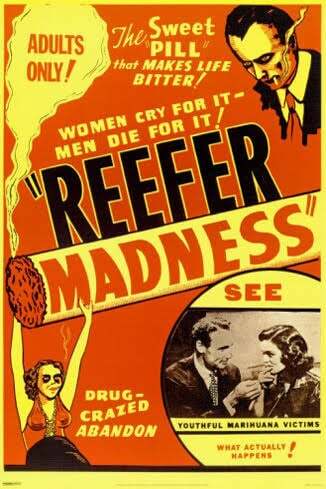 And hence the project’s title, a portmanteau (or mashup!) of ‘synesthesia‘ and ‘synthesiser’. installation / media art, 2017 Max 7, p5.js, Swift, Raspberry Pi filmed by Jaewon Choi special thanks to Gayeong Baek, Jongmin Jung The atmosphere of Seoul is sophisticated. A cold wind of the dawn, endless traffic, people yelling each other, and the rhythm of the footsteps. Everything vaporises to the noise. 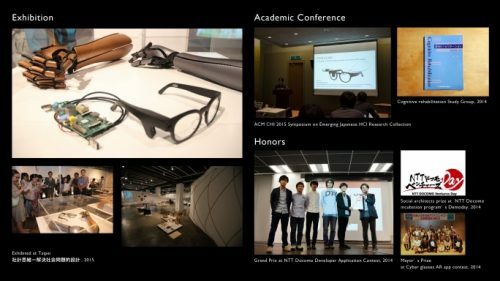 You can find more of J. One’s projects on their website, including Seoul, a Raspberry Pi–powered sound exhibit that allows visitors to incorporate their own sounds into layers of real-time noise of Seoul. Musicians and Raspberry Pis make beautiful music together. This much we know to be true, and a quick search of the interwebs will confirm it for you. 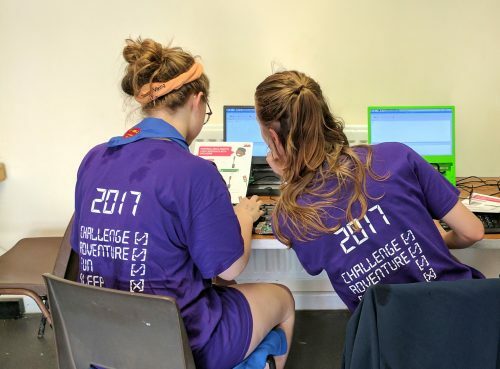 We and our community have created Raspberry Pi projects for even the most novice of programmers to try out. 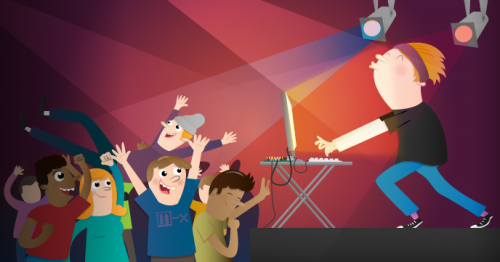 Start with our guide to building a GPIO music box if you’re unsure how to hit the high notes with music and code, and then move on to our introduction to Sonic Pi, the open-source live coding environment. 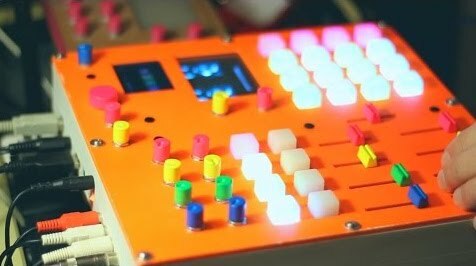 And for a truly sensational music-based digital making project, have a look at the beautiful mix of sound and aesthetics that is Toby Hendricks’ Raspberry Pi Looper-Synth-Drum…Thing. Yes, that’s its actual name. And if you’re more classically inclined, why not implement this Pi-powered AI algorithm to accompany you on the piano? 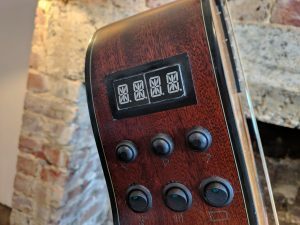 The post Synesthiser, an accessible electronic music instrument appeared first on Raspberry Pi. 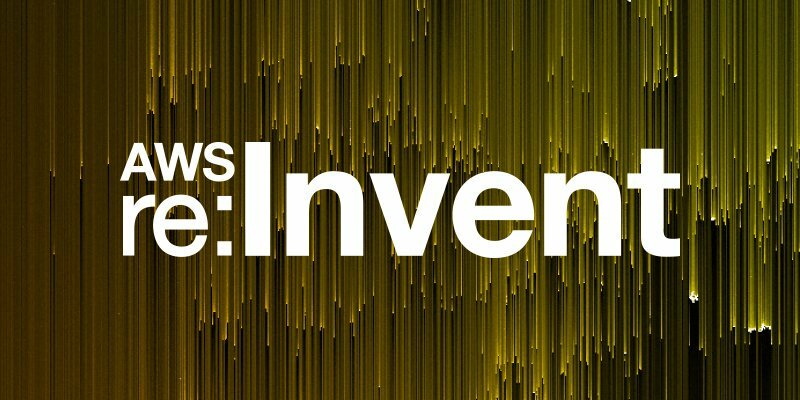 We can’t believe that there are just few days left before re:Invent 2017. If you are attending this year, you’ll want to check out our Big Data sessions! The Big Data and Machine Learning categories are bigger than ever. As in previous years, you can find these sessions in various tracks, including Analytics & Big Data, Deep Learning Summit, Artificial Intelligence & Machine Learning, Architecture, and Databases. We have great sessions from organizations and companies like Vanguard, Cox Automotive, Pinterest, Netflix, FINRA, Amtrak, AmazonFresh, Sysco Foods, Twilio, American Heart Association, Expedia, Esri, Nextdoor, and many more. All sessions are recorded and made available on YouTube. In addition, all slide decks from the sessions will be available on SlideShare.net after the conference. This post highlights the sessions that will be presented as part of the Analytics & Big Data track, as well as relevant sessions from other tracks like Architecture, Artificial Intelligence & Machine Learning, and IoT. If you’re interested in Machine Learning sessions, don’t forget to check out our Guide to Machine Learning at re:Invent 2017. This year’s session catalog contains the following breakout sessions. Raju Gulabani, VP, Database, Analytics and AI at AWS will discuss the evolution of database and analytics services in AWS, the new database and analytics services and features we launched this year, and our vision for continued innovation in this space. We are witnessing an unprecedented growth in the amount of data collected, in many different forms. Storage, management, and analysis of this data require database services that scale and perform in ways not possible before. AWS offers a collection of database and other data services—including Amazon Aurora, Amazon DynamoDB, Amazon RDS, Amazon Redshift, Amazon ElastiCache, Amazon Kinesis, and Amazon EMR—to process, store, manage, and analyze data. In this session, we provide an overview of AWS database and analytics services and discuss how customers are using these services today. Thousands of services work in concert to deliver millions of hours of video streams to Netflix customers every day. These applications vary in size, function, and technology, but they all make use of the Netflix network to communicate. Understanding the interactions between these services is a daunting challenge both because of the sheer volume of traffic and the dynamic nature of deployments. In this session, we first discuss why Netflix chose Kinesis Streams to address these challenges at scale. 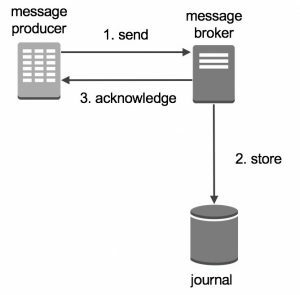 We then dive deep into how Netflix uses Kinesis Streams to enrich network traffic logs and identify usage patterns in real time. Lastly, we cover how Netflix uses this system to build comprehensive dependency maps, increase network efficiency, and improve failure resiliency. From this session, you will learn how to build a real-time application monitoring system using network traffic logs and get real-time, actionable insights. In this session, learn how Nextdoor replaced their home-grown data pipeline based on a topology of Flume nodes with a completely serverless architecture based on Kinesis and Lambda. By making these changes, they improved both the reliability of their data and the delivery times of billions of records of data to their Amazon S3–based data lake and Amazon Redshift cluster. Nextdoor is a private social networking service for neighborhoods. Data speaks. Discover how Ivy Tech, the nation’s largest singly accredited community college, uses AWS to gather, analyze, and take action on student behavioral data for the betterment of over 3,100 students. This session outlines the process from inception to implementation across the state of Indiana and highlights how Ivy Tech’s model can be applied to your own complex business problems. Banks aren’t known to share data and collaborate with one another. But that is exactly what the Mid-Sized Bank Coalition of America (MBCA) is doing to fight digital financial crime—and protect national security. Using the AWS Cloud, the MBCA developed a shared data analytics utility that processes terabytes of non-competitive customer account, transaction, and government risk data. The intelligence produced from the data helps banks increase the efficiency of their operations, cut labor and operating costs, and reduce false positive volumes. The collective intelligence also allows greater enforcement of Anti-Money Laundering (AML) regulations by helping members detect internal risks—and identify the challenges to detecting these risks in the first place. This session demonstrates how the AWS Cloud supports the MBCA to deliver advanced data analytics, provide consistent operating models across financial institutions, reduce costs, and strengthen national security. In this session, learn how Cox Automotive is using Splunk Cloud for real time visibility into its AWS and hybrid environments to achieve near instantaneous MTTI, reduce auction incidents by 90%, and proactively predict outages. We also introduce a highly anticipated capability that allows you to ingest, transform, and analyze data in real time using Splunk and Amazon Kinesis Firehose to gain valuable insights from your cloud resources. It’s now quicker and easier than ever to gain access to analytics-driven infrastructure monitoring using Splunk Enterprise & Splunk Cloud. Historically, silos of data, analytics, and processes across functions, stages of development, and geography created a barrier to R&D efficiency. Gathering the right data necessary for decision-making was challenging due to issues of accessibility, trust, and timeliness. In this session, learn how Takeda is undergoing a transformation in R&D to increase the speed-to-market of high-impact therapies to improve patient lives. The Data and Analytics Hub was built, with Deloitte, to address these issues and support the efficient generation of data insights for functions such as clinical operations, clinical development, medical affairs, portfolio management, and R&D finance. In the AWS hosted data lake, this data is processed, integrated, and made available to business end users through data visualization interfaces, and to data scientists through direct connectivity. Learn how Takeda has achieved significant time reductions—from weeks to minutes—to gather and provision data that has the potential to reduce cycle times in drug development. The hub also enables more efficient operations and alignment to achieve product goals through cross functional team accountability and collaboration due to the ability to access the same cross domain data. As the nation’s only high-speed intercity passenger rail provider, Amtrak needs to know critical information to run their business such as: Who’s onboard any train at any time? How are booking and revenue trending? Amtrak was faced with unpredictable and often slow response times from existing databases, ranging from seconds to hours; existing booking and revenue dashboards were spreadsheet-based and manual; multiple copies of data were stored in different repositories, lacking integration and consistency; and operations and maintenance (O&M) costs were relatively high. Join us as we demonstrate how Deloitte and Amtrak successfully went live with a cloud-native operational database and analytical datamart for near-real-time reporting in under six months. We highlight the specific challenges and the modernization of architecture on an AWS native Platform as a Service (PaaS) solution. The solution includes cloud-native components such as AWS Lambda for microservices, Amazon Kinesis and AWS Data Pipeline for moving data, Amazon S3 for storage, Amazon DynamoDB for a managed NoSQL database service, and Amazon Redshift for near-real time reports and dashboards. Deloitte’s solution enabled “at scale” processing of 1 million transactions/day and up to 2K transactions/minute. It provided flexibility and scalability, largely eliminate the need for system management, and dramatically reduce operating costs. Moreover, it laid the groundwork for decommissioning legacy systems, anticipated to save at least $1M over 3 years. In this session, we detail Sysco’s journey from a company focused on hindsight-based reporting to one focused on insights and foresight. For this shift, Sysco moved from multiple data warehouses to an AWS ecosystem, including Amazon Redshift, Amazon EMR, AWS Data Pipeline, and more. As the team at Sysco worked with Tableau, they gained agile insight across their business. Learn how Sysco decided to use AWS, how they scaled, and how they became more strategic with the AWS ecosystem and Tableau. Reducing the time to get actionable insights from data is important to all businesses, and customers who employ batch data analytics tools are exploring the benefits of streaming analytics. Learn best practices to extend your architecture from data warehouses and databases to real-time solutions. 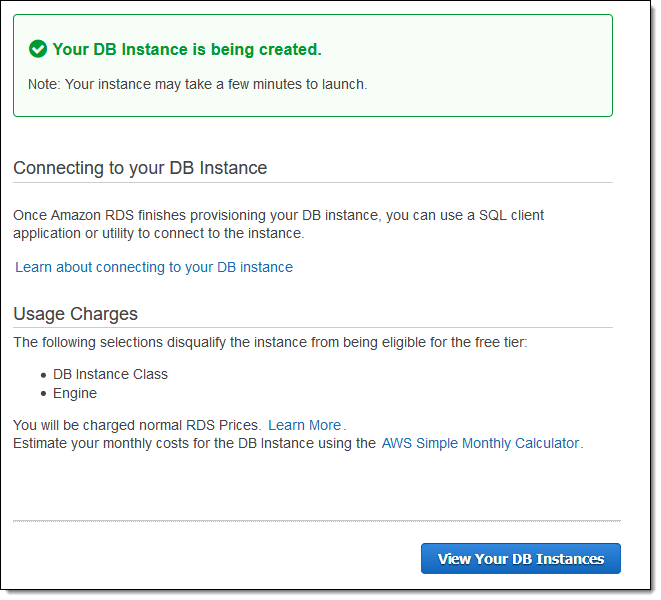 Learn how to use Amazon Kinesis to get real-time data insights and integrate them with Amazon Aurora, Amazon RDS, Amazon Redshift, and Amazon S3. The Amazon Flex team describes how they used streaming analytics in their Amazon Flex mobile app, used by Amazon delivery drivers to deliver millions of packages each month on time. They discuss the architecture that enabled the move from a batch processing system to a real-time system, overcoming the challenges of migrating existing batch data to streaming data, and how to benefit from real-time analytics. IoT and big data have made their way out of industrial applications, general automation, and consumer goods, and are now a valuable tool for improving consumer engagement across a number of industries, including media, entertainment, and sports. The low cost and ease of implementation of AWS analytics services and AWS IoT have allowed AGT, a leader in IoT, to develop their IoTA analytics platform. Using IoTA, AGT brought a tailored solution to EuroLeague Basketball for real-time content production and fan engagement during the 2017-18 season. In this session, we take a deep dive into how this solution is architected for secure, scalable, and highly performant data collection from athletes, coaches, and fans. We also talk about how the data is transformed into insights and integrated into a content generation pipeline. Lastly, we demonstrate how this solution can be easily adapted for other industries and applications. Sysco has nearly 200 operating companies across its multiple lines of business throughout the United States, Canada, Central/South America, and Europe. As the global leader in food services, Sysco identified the need to streamline the collection, transformation, and presentation of data produced by the distributed units and systems, into a central data ecosystem. Sysco’s Business Intelligence and Analytics team addressed these requirements by creating a data lake with scalable analytics and query engines leveraging AWS services. In this session, Sysco will outline their journey from a hindsight reporting focused company to an insights driven organization. They will cover solution architecture, challenges, and lessons learned from deploying a self-service insights platform. They will also walk through the design patterns they used and how they designed the solution to provide predictive analytics using Amazon Redshift Spectrum, Amazon S3, Amazon EMR, AWS Glue, Amazon Elasticsearch Service and other AWS services. As a leading cloud communications platform, Twilio has always been strongly data-driven. But as headcount and data volumes grew—and grew quickly—they faced many new challenges. One-off, static reports work when you’re a small startup, but how do you support a growth stage company to a successful IPO and beyond? Today, Twilio’s data team relies on AWS and Looker to provide data access to 700 colleagues. Departments have the data they need to make decisions, and cloud-based scale means they get answers fast. Data delivers real-business value at Twilio, providing a 360-degree view of their customer, product, and business. In this session, you hear firsthand stories directly from the Twilio data team and learn real-world tips for fostering a truly data-driven culture at scale. FINRA uses big data and data science technologies to detect fraud, market manipulation, and insider trading across US capital markets. As a financial regulator, FINRA analyzes highly sensitive data, so information security is critical. Learn how FINRA secures its Amazon S3 Data Lake and its data science platform on Amazon EMR and Amazon Redshift, while empowering data scientists with tools they need to be effective. In addition, FINRA shares AWS security best practices, covering topics such as AMI updates, micro segmentation, encryption, key management, logging, identity and access management, and compliance. At Netflix, we have traditionally approached cloud efficiency from a human standpoint, whether it be in-person meetings with the largest service teams or manually flipping reservations. Over time, we realized that these manual processes are not scalable as the business continues to grow. Therefore, in the past year, we have focused on building out tools that allow us to make more insightful, data-driven decisions around capacity and efficiency. In this session, we discuss the DIY applications, dashboards, and processes we built to help with capacity and efficiency. We start at the ten thousand foot view to understand the unique business and cloud problems that drove us to create these products, and discuss implementation details, including the challenges encountered along the way. 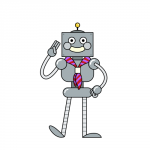 Tools discussed include Picsou, the successor to our AWS billing file cost analyzer; Libra, an easy-to-use reservation conversion application; and cost and efficiency dashboards that relay useful financial context to 50+ engineering teams and managers. Customers are migrating their analytics, data processing (ETL), and data science workloads running on Apache Hadoop, Spark, and data warehouse appliances from on-premise deployments to AWS in order to save costs, increase availability, and improve performance. 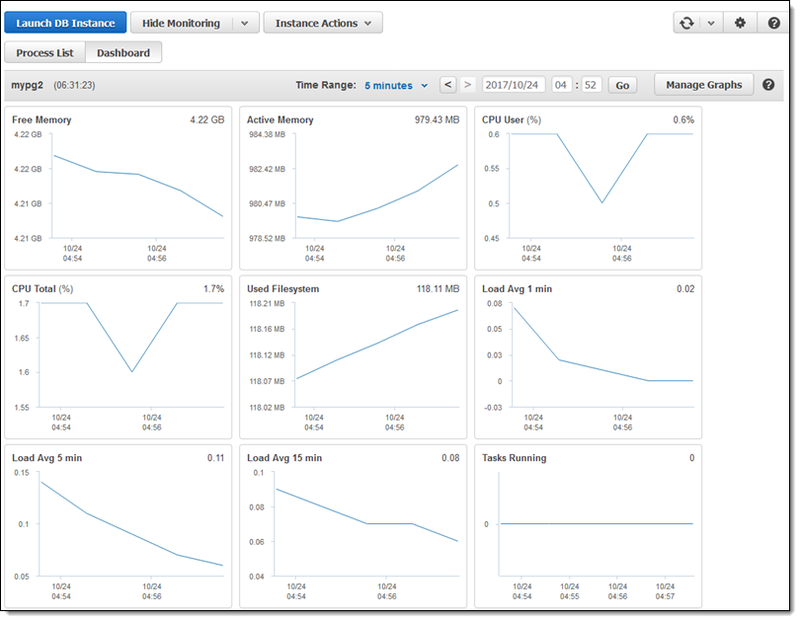 AWS offers a broad set of analytics services, including solutions for batch processing, stream processing, machine learning, data workflow orchestration, and data warehousing. This session will focus on identifying the components and workflows in your current environment; and providing the best practices to migrate these workloads to the right AWS data analytics product. We will cover services such as Amazon EMR, Amazon Athena, Amazon Redshift, Amazon Kinesis, and more. We will also feature Vanguard, an American investment management company based in Malvern, Pennsylvania with over $4.4 trillion in assets under management. Ritesh Shah, Sr. Program Manager for Cloud Analytics Program at Vanguard, will describe how they orchestrated their migration to AWS analytics services, including Hadoop and Spark workloads to Amazon EMR. Ritesh will highlight the technical challenges they faced and overcame along the way, as well as share common recommendations and tuning tips to accelerate the time to production. Petabyte scale archives of satellites, planes, and drones imagery continue to grow exponentially. They mostly exist as semi-structured data, but they are only valuable when accessed and processed by a wide range of products for both visualization and analysis. This session provides an overview of how ArcGIS indexes and structures data so that any part of it can be quickly accessed, processed, and analyzed by reading only the minimum amount of data needed for the task. In this session, we share best practices for structuring and compressing massive datasets in Amazon S3, so it can be analyzed efficiently. We also review a number of different image formats, including GeoTIFF (used for the Public Datasets on AWS program, Landsat on AWS), cloud optimized GeoTIFF, MRF, and CRF as well as different compression approaches to show the effect on processing performance. Finally, we provide examples of how this technology has been used to help image processing and analysis for the response to Hurricane Harvey. Amazon’s consumer business continues to grow, and so does the volume of data and the number and complexity of the analytics done in support of the business. In this session, we talk about how Amazon.com uses AWS technologies to build a scalable environment for data and analytics. We look at how Amazon is evolving the world of data warehousing with a combination of a data lake and parallel, scalable compute engines such as Amazon EMR and Amazon Redshift. In this session, we discuss the latest features of Amazon Redshift and Redshift Spectrum, and take a deep dive into its architecture and inner workings. 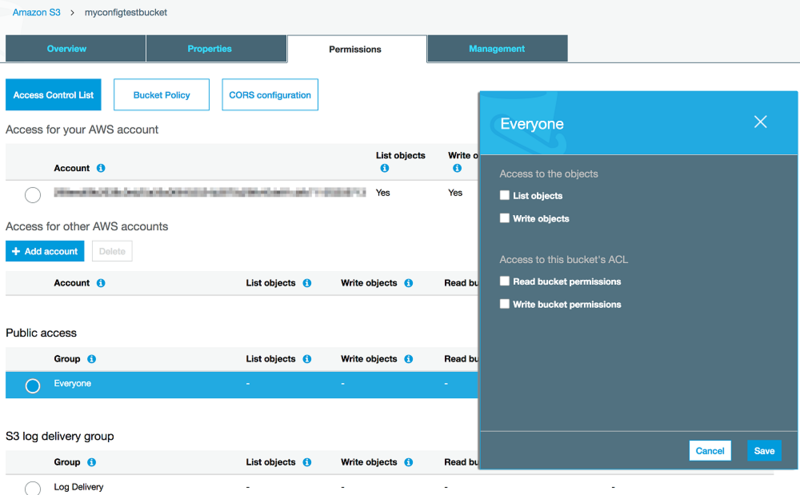 We share many of the recent availability, performance, and management enhancements and how they improve your end user experience. You also hear from 21st Century Fox, who presents a case study of their fast migration from an on-premises data warehouse to Amazon Redshift. Learn how they are expanding their data warehouse to a data lake that encompasses multiple data sources and data formats. This architecture helps them tie together siloed business units and get actionable 360-degree insights across their consumer base. 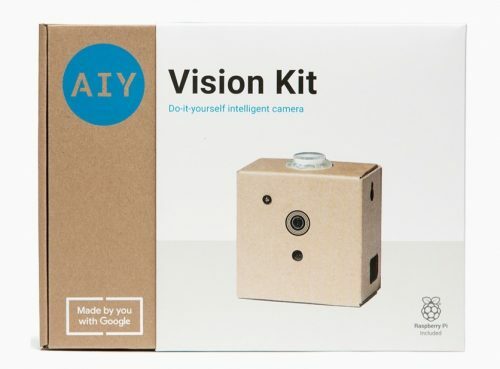 Given the increasing popularity of natural language interfaces such as Voice as User technology or conversational artificial intelligence (AI), Ally® Bank was looking to interact with customers by enabling direct transactions through conversation or voice. They also needed to develop a capability that allows third parties to connect to the bank securely for information sharing and exchange, using oAuth, an authentication protocol seen as the future of secure banking technology. Cognizant’s Architecture team partnered with Ally Bank’s Enterprise Architecture group and identified the right product for oAuth integration with Amazon Alexa and third-party technologies. In this session, we discuss how building products with conversational AI helps Ally Bank offer an innovative customer experience; increase retention through improved data-driven personalization; increase the efficiency and convenience of customer service; and gain deep insights into customer needs through data analysis and predictive analytics to offer new products and services. Ever since the term “crowdsourcing” was coined in 2006, it’s been a buzzword for technology companies and social institutions. In the technology sector, crowdsourcing is instrumental for verifying machine learning algorithms, which, in turn, improves the user’s experience. In this session, we explore how Pinterest adapted to an increased reliability on human evaluation to improve their product, with a focus on how they’ve integrated with Mechanical Turk’s platform. This presentation is aimed at engineers, analysts, program managers, and product managers who are interested in how companies rely on Mechanical Turk’s human evaluation platform to better understand content and improve machine learning algorithms. The discussion focuses on the analysis and product decisions related to building a high quality crowdsourcing system that takes advantage of Mechanical Turk’s powerful worker community. Featuring Amazon EMR, Amazon Athena, Amazon Kinesis, AWS Glue, Amazon QuickSight, Amazon Redshift, Amazon Elasticsearch Service, and Amazon DynamoDB. Just as a picture is worth a thousand words, a visual is worth a thousand data points. A key aspect of our ability to gain insights from our data is to look for patterns, and these patterns are often not evident when we simply look at data in tables. The right visualization will help you gain a deeper understanding in a much quicker timeframe. In this session, we will show you how to quickly and easily visualize your data using Amazon QuickSight. We will show you how you can connect to data sources, generate custom metrics and calculations, create comprehensive business dashboards with various chart types, and setup filters and drill downs to slice and dice the data. As data volumes grow and customers store more data on AWS, they often have valuable data that is not easily discoverable and available for analytics. The AWS Glue Data Catalog provides a central view of your data lake, making data readily available for analytics. 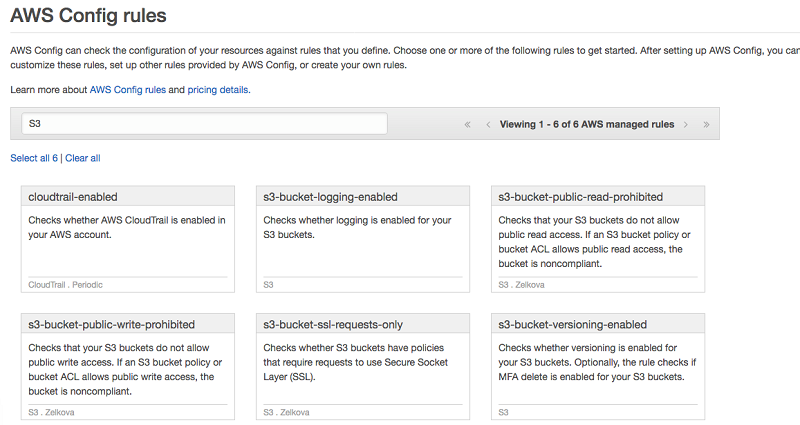 We introduce key features of the AWS Glue Data Catalog and its use cases. Learn how crawlers can automatically discover your data, extract relevant metadata, and add it as table definitions to the AWS Glue Data Catalog. We will also explore the integration between AWS Glue Data Catalog and Amazon Athena, Amazon EMR, and Amazon Redshift Spectrum. With customers demanding relevant and real-time experiences across a range of devices, digital businesses are looking to gather user data at scale, understand this data, and respond to customer needs instantly. This requires tools that can record large volumes of user data in a structured fashion, and then instantly make this data available to generate insights. In this session, we demonstrate how you can use Amazon Pinpoint to capture user data in a structured yet flexible manner. 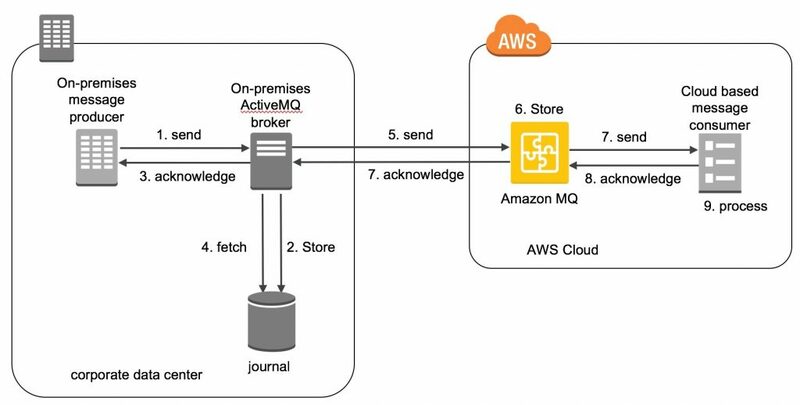 Further, we demonstrate how this data can be set up for instant consumption using services like Amazon Kinesis Firehose and Amazon Redshift. We walk through example data based on real world scenarios, to illustrate how Amazon Pinpoint lets you easily organize millions of events, record them in real-time, and store them for further analysis. Companies of all sizes are looking for technology to efficiently leverage data and their existing IT investments to stay competitive and understand where to find new growth. Regardless of where companies are in their data-driven journey, they face greater demands for information by customers, prospects, partners, vendors and employees. All stakeholders inside and outside the organization want information on-demand or in “real time”, available anywhere on any device. They want to use it to optimize business outcomes without having to rely on complex software tools or human gatekeepers to relevant information. Learn how IT innovators at companies such as MasterCard, Jefferson Health, and TELUS are using Domo’s Business Cloud to help their organizations more effectively leverage data at scale. 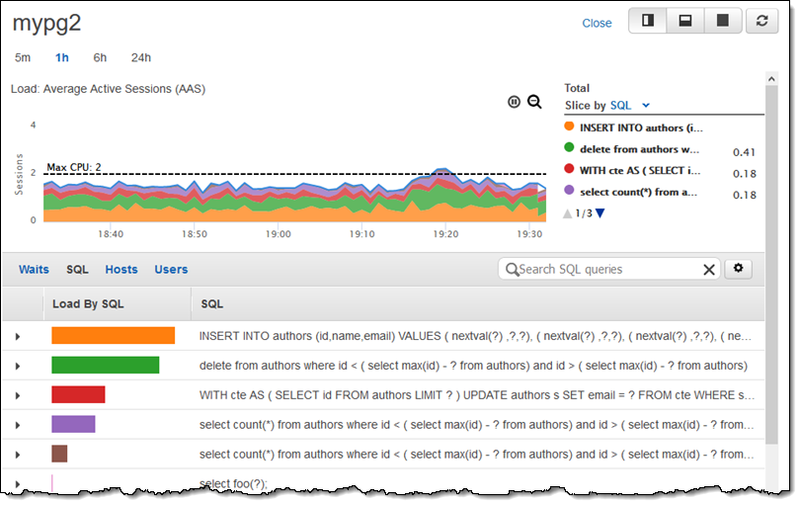 In this session, we use Apache web logs as example and show you how to build an end-to-end analytics solution. First, we cover how to configure an Amazon ES cluster and ingest data using Amazon Kinesis Firehose. We look at best practices for choosing instance types, storage options, shard counts, and index rotations based on the throughput of incoming data. Then we demonstrate how to set up a Kibana dashboard and build custom dashboard widgets. Finally, we review approaches for generating custom, ad-hoc reports. 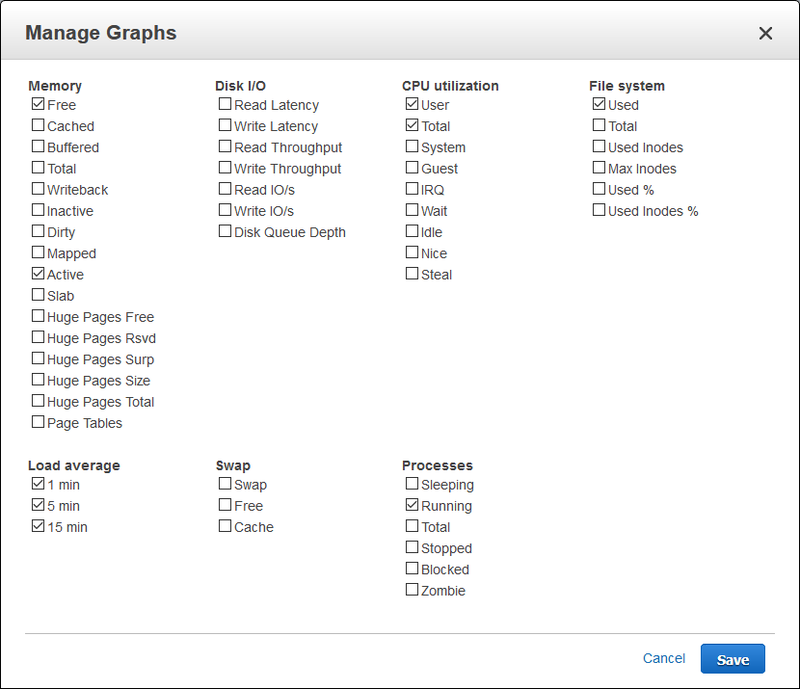 Amazon EMR is one of the largest Hadoop operators in the world, enabling customers to run ETL, machine learning, real-time processing, data science, and low-latency SQL at petabyte scale. In this session, we introduce you to Amazon EMR design patterns such as using Amazon S3 instead of HDFS, taking advantage of both long and short-lived clusters, and other Amazon EMR architectural best practices. We talk about lowering cost with Auto Scaling and Spot Instances, and security best practices for encryption and fine-grained access control. Finally, we dive into some of our recent launches to keep you current on our latest features. One of the biggest tradeoffs customers usually make when deploying BI solutions at scale is agility versus governance. Large-scale BI implementations with the right governance structure can take months to design and deploy. 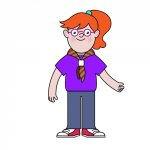 In this session, learn how you can avoid making this tradeoff using Amazon QuickSight. 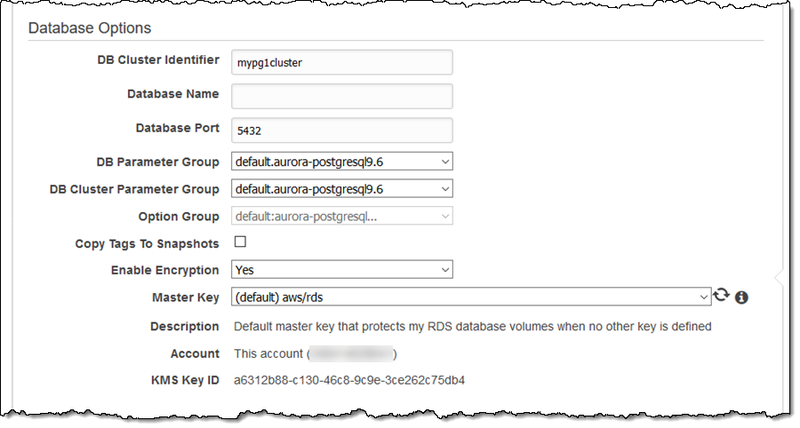 Learn how to easily deploy Amazon QuickSight to thousands of users using Active Directory and Federated SSO, while securely accessing your data sources in Amazon VPCs or on-premises. We also cover how to control access to your datasets, implement row-level security, create scheduled email reports, and audit access to your data. Organizations need to gain insight and knowledge from a growing number of Internet of Things (IoT), APIs, clickstreams, unstructured and log data sources. However, organizations are also often limited by legacy data warehouses and ETL processes that were designed for transactional data. In this session, we introduce key ETL features of AWS Glue, cover common use cases ranging from scheduled nightly data warehouse loads to near real-time, event-driven ETL flows for your data lake. 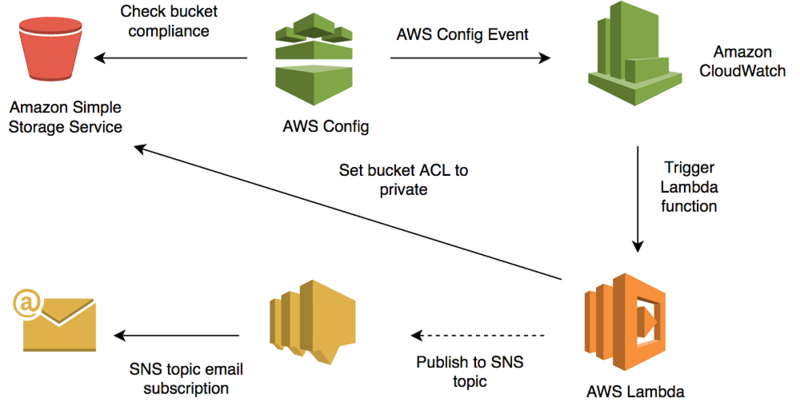 We discuss how to build scalable, efficient, and serverless ETL pipelines using AWS Glue. Additionally, Merck will share how they built an end-to-end ETL pipeline for their application release management system, and launched it in production in less than a week using AWS Glue. Learn how to architect a data lake where different teams within your organization can publish and consume data in a self-service manner. As organizations aim to become more data-driven, data engineering teams have to build architectures that can cater to the needs of diverse users – from developers, to business analysts, to data scientists. Each of these user groups employs different tools, have different data needs and access data in different ways. In this talk, we will dive deep into assembling a data lake using Amazon S3, Amazon Kinesis, Amazon Athena, Amazon EMR, and AWS Glue. The session will feature Mohit Rao, Architect and Integration lead at Atlassian, the maker of products such as JIRA, Confluence, and Stride. First, we will look at a couple of common architectures for building a data lake. Then we will show how Atlassian built a self-service data lake, where any team within the company can publish a dataset to be consumed by a broad set of users. Companies have valuable data that they may not be analyzing due to the complexity, scalability, and performance issues of loading the data into their data warehouse. However, with the right tools, you can extend your analytics to query data in your data lake—with no loading required. Amazon Redshift Spectrum extends the analytic power of Amazon Redshift beyond data stored in your data warehouse to run SQL queries directly against vast amounts of unstructured data in your Amazon S3 data lake. This gives you the freedom to store your data where you want, in the format you want, and have it available for analytics when you need it. Join a discussion with AWS solution architects to ask question. Amazon Kinesis Analytics offers a built-in machine learning algorithm that you can use to easily detect anomalies in your VPC network traffic and improve security monitoring. Join us for an interactive discussion on how to stream your VPC flow Logs to Amazon Kinesis Streams and identify anomalies using Kinesis Analytics. 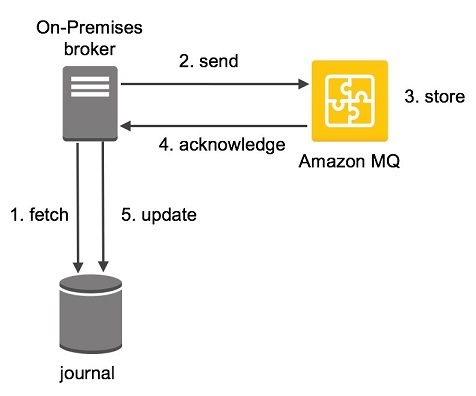 Amazon Athena is an interactive query service that enables you to process data directly from Amazon S3 without the need for infrastructure. Since its launch at re:invent 2016, several organizations have adopted Athena as the central tool to process all their data. In this talk, we dive deep into the most common use cases, including working with other AWS services. We review the best practices for creating tables and partitions and performance optimizations. 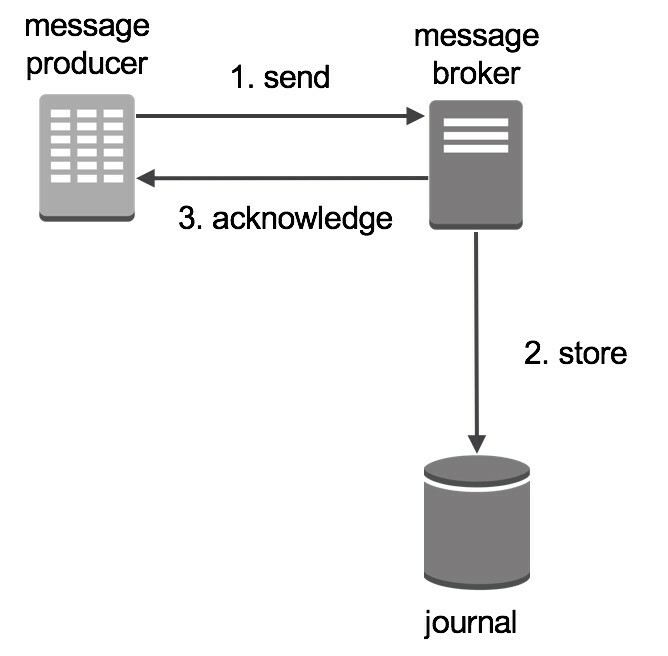 We also dive into how Athena handles security, authorization, and authentication. Lastly, we hear from a customer who has reduced costs and improved time to market by deploying Athena across their organization. We look forward to meeting you at re:Invent 2017! Roy Ben-Alta is a solution architect and principal business development manager at Amazon Web Services in New York. He focuses on Data Analytics and ML Technologies, working with AWS customers to build innovative data-driven products. The recent addition of Xilinx FPGAs to AWS Cloud compute offerings is one way that AWS is enabling global growth in the areas of advanced analytics, deep learning and AI. The customized F1 servers use pooled accelerators, enabling interconnectivity of up to 8 FPGAs, each one including 64 GiB DDR4 ECC protected memory, with a dedicated PCIe x16 connection. That makes this a powerful engine with the capacity to process advanced analytical applications at scale, at a significantly faster rate. For example, AWS commercial partner Edico Genome is able to achieve an approximately 30X speedup in analyzing whole genome sequencing datasets using their DRAGEN platform powered with F1 instances. While the availability of FPGA F1 compute on-demand provides clear accessibility and cost advantages, many mainstream users are still finding that the “threshold to entry” in developing or running FPGA-accelerated simulations is too high. Researchers at the UC Berkeley RISE Lab have developed “FireSim”, powered by Amazon FPGA F1 instances as an open-source resource, FireSim lowers that entry bar and makes it easier for everyone to leverage the power of an FPGA-accelerated compute environment. Whether you are part of a small start-up development team or working at a large datacenter scale, hardware-software co-design enables faster time-to-deployment, lower costs, and more predictable performance. We are excited to feature FireSim in this post from Sagar Karandikar and his colleagues at UC-Berkeley. As traditional hardware scaling nears its end, the data centers of tomorrow are trending towards heterogeneity, employing custom hardware accelerators and increasingly high-performance interconnects. Prototyping new hardware at scale has traditionally been either extremely expensive, or very slow. In this post, I introduce FireSim, a new hardware simulation platform under development in the computer architecture research group at UC Berkeley that enables fast, scalable hardware simulation using Amazon EC2 F1 instances. FireSim benefits both hardware and software developers working on new rack-scale systems: software developers can use the simulated nodes with new hardware features as they would use a real machine, while hardware developers have full control over the hardware being simulated and can run real software stacks while hardware is still under development. In conjunction with this post, we’re releasing the first public demo of FireSim, which lets you deploy your own 8-node simulated cluster on an F1 Instance and run benchmarks against it. This demo simulates a pre-built “vanilla” cluster, but demonstrates FireSim’s high performance and usability. Problem #1: FPGA-based simulations have traditionally been expensive, difficult to deploy, and difficult to reproduce. FireSim uses public-cloud infrastructure like F1, which means no upfront cost to purchase and deploy FPGAs. 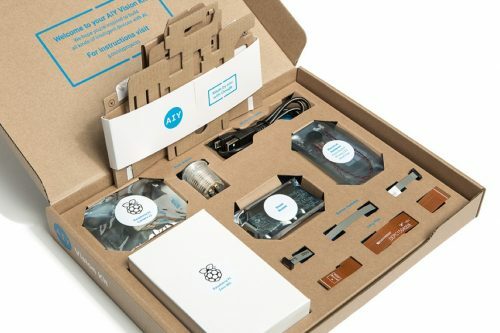 Developers and researchers can distribute pre-built AMIs and AFIs, as in this public demo (more details later in this post), to make experiments easy to reproduce. FireSim also automates most of the work involved in deploying an FPGA simulation, essentially enabling one-click conversion from new RTL to deploying on an FPGA cluster. Problem #2: FPGA-based simulations have traditionally been difficult (and expensive) to scale. Because FireSim uses F1, users can scale out experiments by spinning up additional EC2 instances, rather than spending hundreds of thousands of dollars on large FPGA clusters. 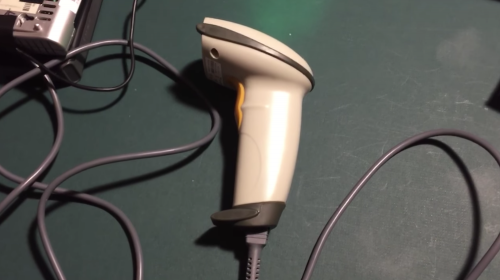 Problem #3: Finding open hardware to simulate has traditionally been difficult. Finding open hardware that can run real software stacks is even harder. FireSim simulates RocketChip, an open, silicon-proven, RISC-V-based processor platform, and adds peripherals like a NIC and disk device to build up a realistic system. Processors that implement RISC-V automatically support real operating systems (such as Linux) and even support applications like Apache and Memcached. We provide a custom Buildroot-based FireSim Linux distribution that runs on our simulated nodes and includes many popular developer tools. Problem #4: Writing hardware in traditional HDLs is time-consuming. Both FireSim and RocketChip use the Chisel HDL, which brings modern programming paradigms to hardware description languages. Chisel greatly simplifies the process of building large, highly parameterized hardware components. FireSim drastically improves the process of co-designing hardware and software by acting as a push-button interface for collaboration between hardware developers and systems software developers. 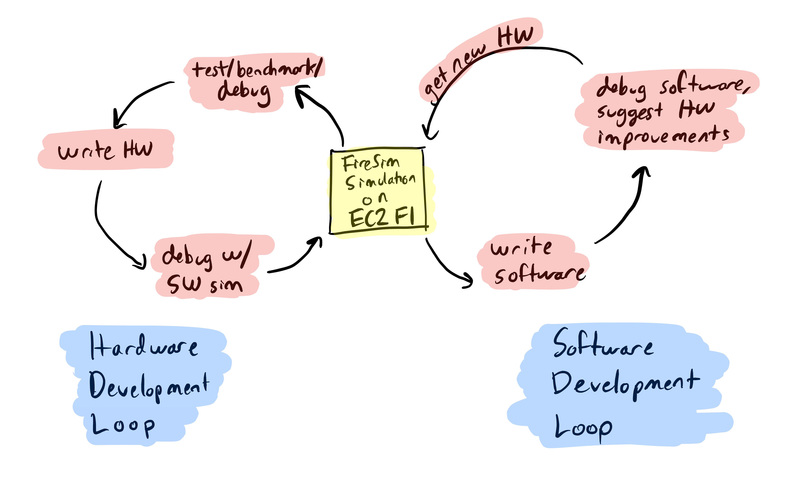 The following diagram describes the workflows that hardware and software developers use when working with FireSim. Figure 2. The FireSim custom hardware development workflow. Write custom RTL for your accelerator, peripheral, or processor modification in a productive language like Chisel. Run a software simulation of your hardware design in standard gate-level simulation tools for early-stage debugging. Run FireSim build scripts, which automatically build your simulation, run it through the Vivado toolchain/AWS shell scripts, and publish an AFI. Deploy the AMI/AFI generated by the hardware developer on an F1 instance to simulate a cluster of nodes (or scale out to many F1 nodes for larger simulated core-counts). Connect using SSH into the simulated nodes in the cluster and boot the Linux distribution included with FireSim. This distribution is easy to customize, and already supports many standard software packages. Directly prototype your software using the same exact interfaces that the software will see when deployed on the real future system you’re prototyping, with the same performance characteristics as observed from software, even at scale. Figure 3. Cluster topology simulated by FireSim demo v1.0. This first public demo of FireSim focuses on the aforementioned “software-developer’s view” of the custom hardware development cycle. 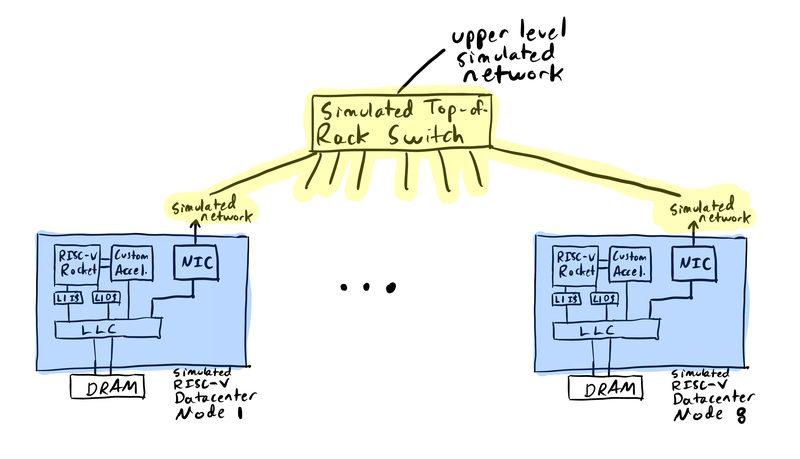 The demo simulates a cluster of 1 to 8 RocketChip-based nodes, interconnected by a functional network simulation. 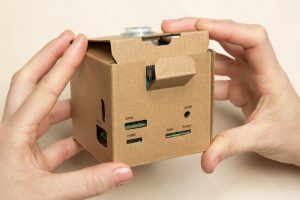 The simulated nodes work just like “real” machines: they boot Linux, you can connect to them using SSH, and you can run real applications on top. The nodes can see each other (and the EC2 F1 instance on which they’re deployed) on the network and communicate with one another. While the demo currently simulates a pre-built “vanilla” cluster, the entire hardware configuration of these simulated nodes can be modified after FireSim is open-sourced. 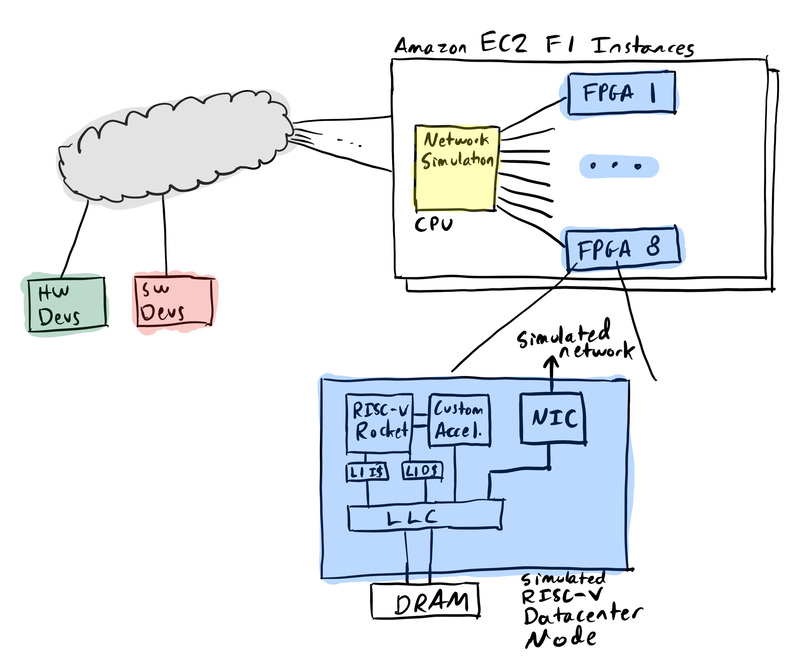 In this post, I walk through bringing up a single-node FireSim simulation for experienced EC2 F1 users. 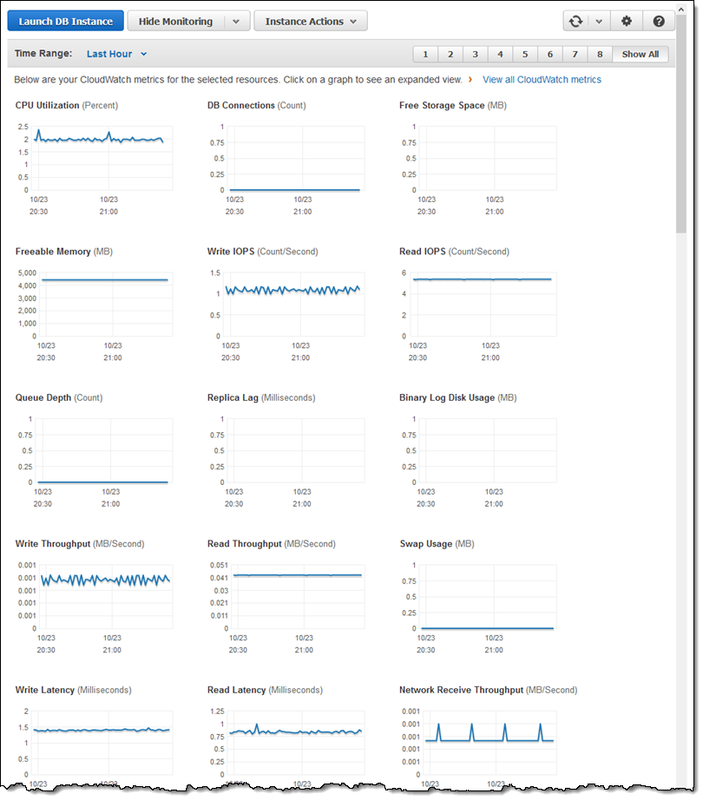 For more detailed instructions for new users and instructions for running a larger 8-node simulation, see FireSim Demo v1.0 on Amazon EC2 F1. Both demos walk you through setting up an instance from a demo AMI/AFI and booting Linux on the simulated nodes. 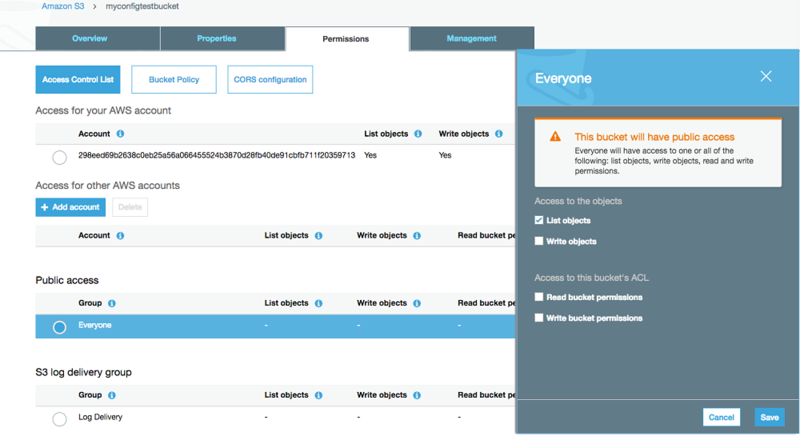 The full demo instructions also walk you through an example workload, running Memcached on the simulated nodes, with YCSB as a load generator to demonstrate network functionality. In this release, we provide pre-built binaries for driving simulation from the host and a pre-built AFI that contains the FPGA infrastructure necessary to simulate a RocketChip-based node. 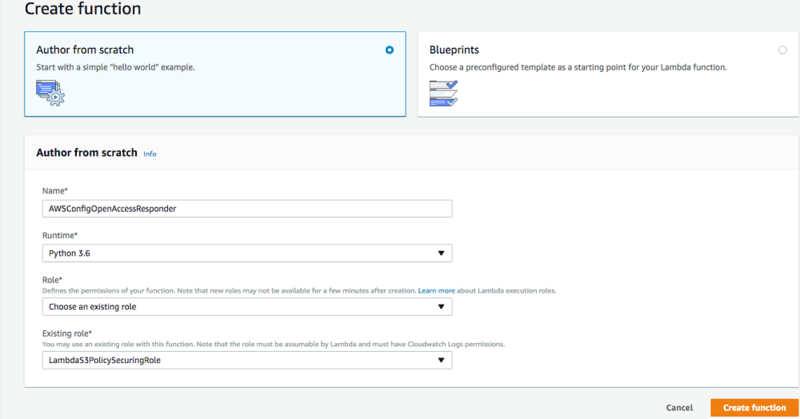 First, launch an instance using the free FireSim Demo v1.0 product available on the AWS Marketplace on an f1.2xlarge instance. After your instance has booted, log in using the user name centos. 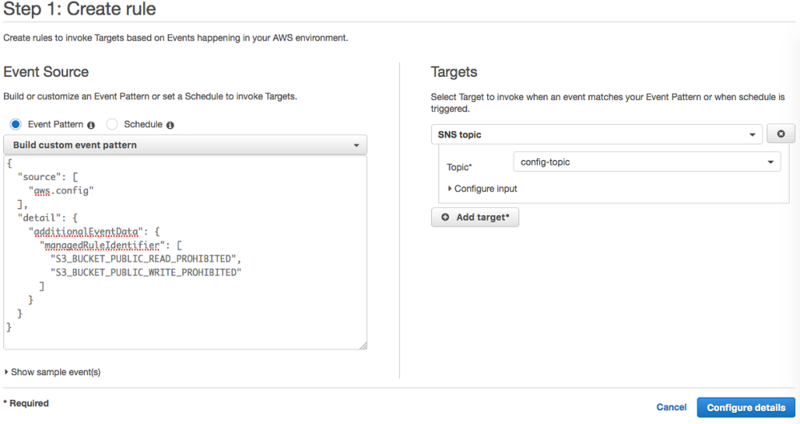 On the first login, you should see the message “FireSim network config completed.” This sets up the necessary tap interfaces and bridge on the EC2 instance to enable communicating with the simulated nodes. The AMI contains a variety of tools to help you run simulations and build software for RISC-V systems, including the riscv64 toolchain, a Buildroot-based Linux distribution that runs on the simulated nodes, and the simulation driver program. 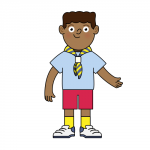 For more details, see the AMI Contents section on the FireSim website. You could connect to the simulated UART console by connecting to this screen, but instead opt to use SSH to access the node instead. The authenticity of host ‘192.168.1.10 (192.168.1.10)’ can’t be established. ECDSA key fingerprint is 63:e9:66:d0:5c:06:2c:1d:5c:95:33:c8:36:92:30:49. Warning: Permanently added ‘192.168.1.10’ (ECDSA) to the list of known hosts. Now you can run programs on the simulated node, as you would with a real machine. 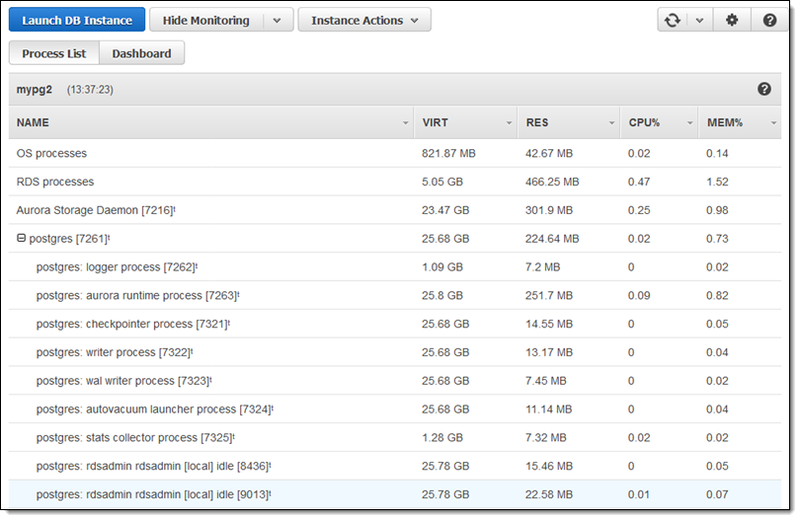 For an example workload (running YCSB against Memcached on the simulated node) or to run a larger 8-node simulation, see the full FireSim Demo v1.0 on Amazon EC2 F1 demo instructions. You can confirm that the simulation has ended by running screen -ls, which should now report that there are no detached screens. At Berkeley, we’re planning to keep improving the FireSim platform to enable our own research in future data center architectures, like FireBox. The FireSim platform will eventually support more sophisticated processors, custom accelerators (such as Hwacha), network models, and peripherals, in addition to scaling to larger numbers of FPGAs. In the future, we’ll open source the entire platform, including Midas, the tool used to transform RTL into FPGA simulators, allowing users to modify any part of the hardware/software stack. Follow @firesimproject on Twitter to stay tuned to future FireSim updates. FireSim is the joint work of many students and faculty at Berkeley: Sagar Karandikar, Donggyu Kim, Howard Mao, David Biancolin, Jack Koenig, Jonathan Bachrach, and Krste Asanović. This work is partially funded by AWS through the RISE Lab, by the Intel Science and Technology Center for Agile HW Design, and by ASPIRE Lab sponsors and affiliates Intel, Google, HPE, Huawei, NVIDIA, and SK hynix. 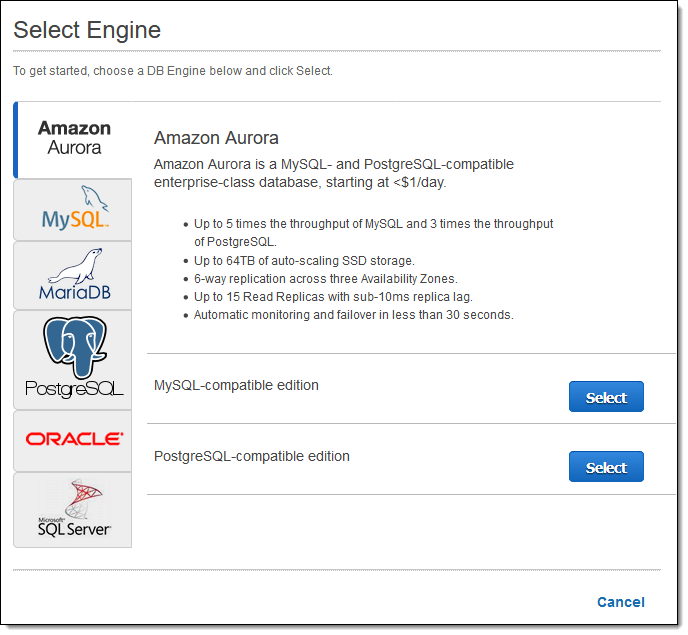 Late last year I told you about our plans to add PostgreSQL compatibility to Amazon Aurora. We launched the private beta shortly after that announcement, and followed it up earlier this year with an open preview. We’ve received lots of great feedback during the beta and the preview and have done our best to make sure that the product meets your needs and exceeds your expectations! I am happy to report that Amazon Aurora with PostgreSQL Compatibility is now generally available and that you can use it today in four AWS Regions, with more to follow. It is compatible with PostgreSQL 9.6.3 and scales automatically to support up to 64 TB of storage, with 6-way replication behind the scenes to improve performance and availability. Just like Amazon Aurora with MySQL compatibility, this edition is fully managed and is very easy to set up and to use. On the performance side, you can expect up to 3x the throughput that you’d get if you ran PostgreSQL on your own (you can read Amazon Aurora: Design Considerations for High Throughput Cloud-Native Relational Databases to learn more about how we did this). 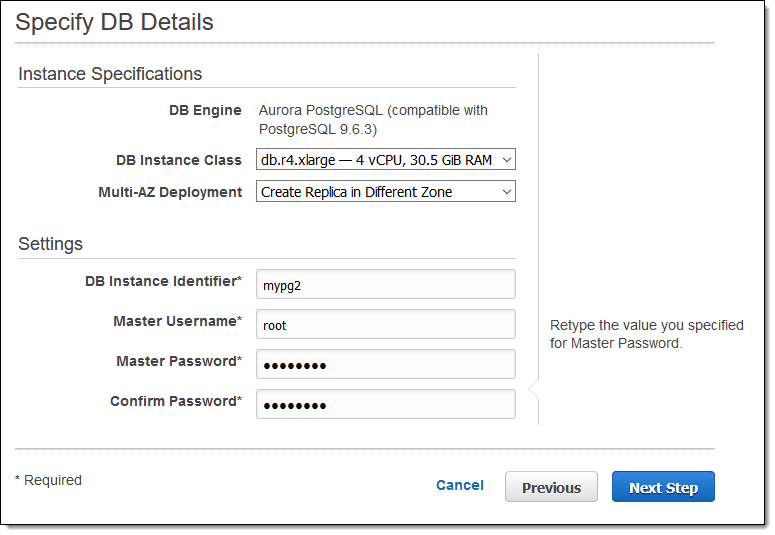 The db.r4 instance class is new addition to Aurora and to RDS, and gives you an additional size at the top-end. 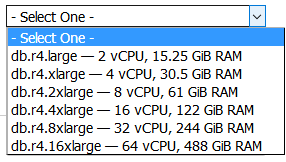 The db.r4.16xlarge will give you additional write performance, and may allow you to use a single Aurora database instead of two or more sharded databases. 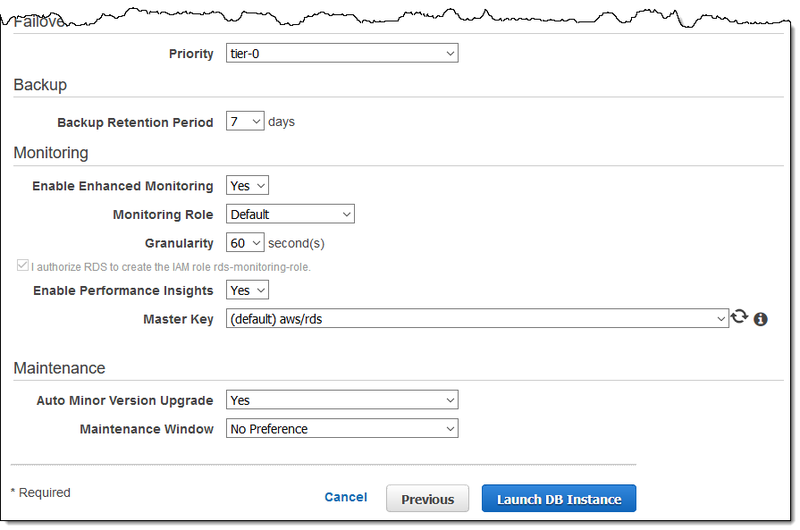 After you have set it up to your liking, click on Launch DB Instance to proceed! 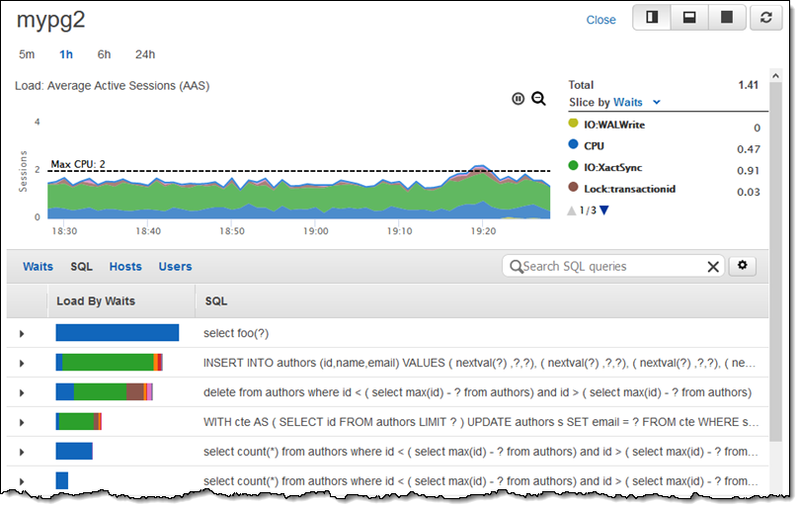 There are more views and options than I can fit in this post; to learn more take a look at Using Performance Insights. 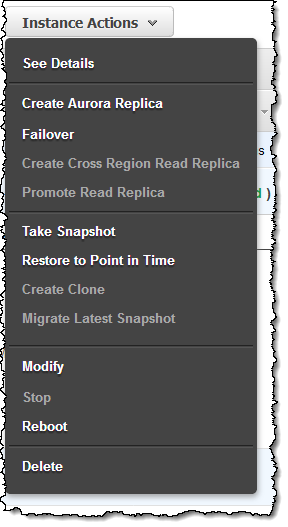 AWS Database Migration Service and the Schema Conversion Tool are ready to help you to move data stored in commercial and open-source databases to Amazon Aurora. The Schema Conversion Tool will perform a quick assessment of your database schemas and your code in order to help you to choose between MySQL and PostgreSQL. Our new, limited-time, Free DMS program allows you to use DMS and SCT to migrate to Aurora at no cost, with access to several types of DMS Instances for up to 6 months. If you are already using PostgreSQL, you will be happy to hear that we support a long list of extensions including PostGIS and dblink. You can use Amazon Aurora with PostgreSQL Compatibility today in the US East (Northern Virginia), EU (Ireland), US West (Oregon), and US East (Ohio) Regions, with others to follow as soon as possible. Joe Birch has built a simple device that converts online news stories to Braille, inspired by his family’s predisposition to loss of eyesight. 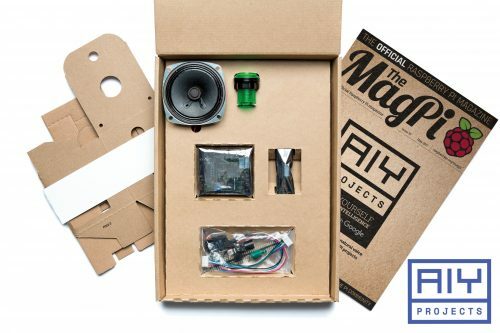 He has based his BrailleBox on Android Things, News API, and a Raspberry Pi 3. 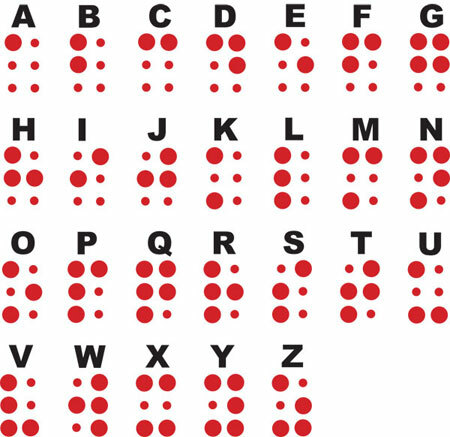 Braille is a symbol system for people with visual impairment which represents letters and numbers as raised points. 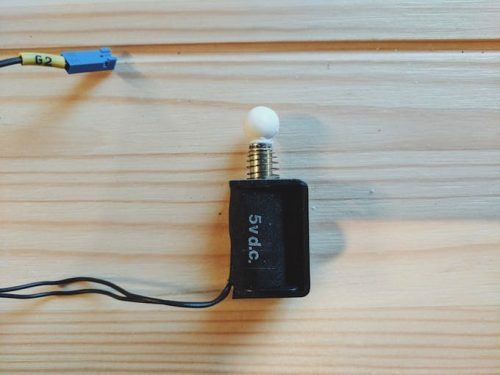 Commercial devices that dynamically produce Braille are very expensive, so Joe decided to build a low-cost alternative that is simple to recreate. News API is a tool for fetching JSON metadata from over 70 online news sources. You can use it to integrate headlines or articles into websites and text-based applications. To create the six nubs necessary to form Braille symbols, Joe topped solenoids with wooden balls. He then wired them up to GPIO pins of the Pi 3 via a breadboard. Next, he took control of the solenoids using Android Things. 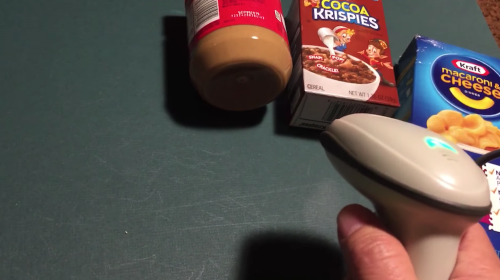 He set up the BrailleBox software to start running on boot, and added a push button. When he presses the button, the program fetches a news story using News API, and the solenoids start moving. Uploaded by Joe Birch on 2017-06-20. 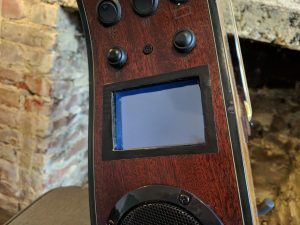 Since Joe is an Android Engineer, looking through his write-up and code for BrailleBox might be useful for anyone interested in Android Things. If you like this project, make sure you keep an eye on Joe’s Twitter, since he has plans to update the BrailleBox design. 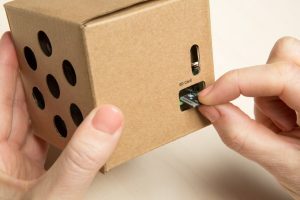 His next step is to move on from the prototyping stage and house all the hardware inside the box. Moreover, he is thinking about adding a potentiometer so that users can choose their preferred reading speed. If you want to find our community’s conversation about accessibility and assistive technology, head to the forums. 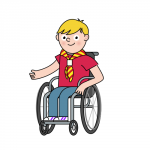 And if you’re working to make computing more accessible, or if you’ve built an assistive project, let us know in the comments or on social media, so that we can boost the signal! 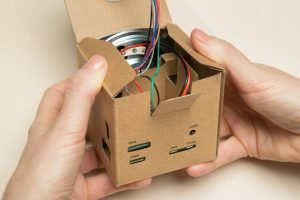 The post BrailleBox: Android Things Braille news display appeared first on Raspberry Pi. 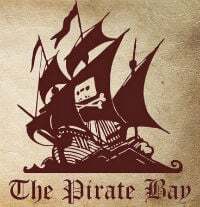 Dedicated Internet pirates dealing in fresh content or operating at any significant scale can be pretty sure that rightsholders and their anti-piracy colleagues are interested in their activities at some level. With this in mind, most pirates these days are aware of things they can do to enhance their security, with products like VPNs often get discussed on the consumer side. 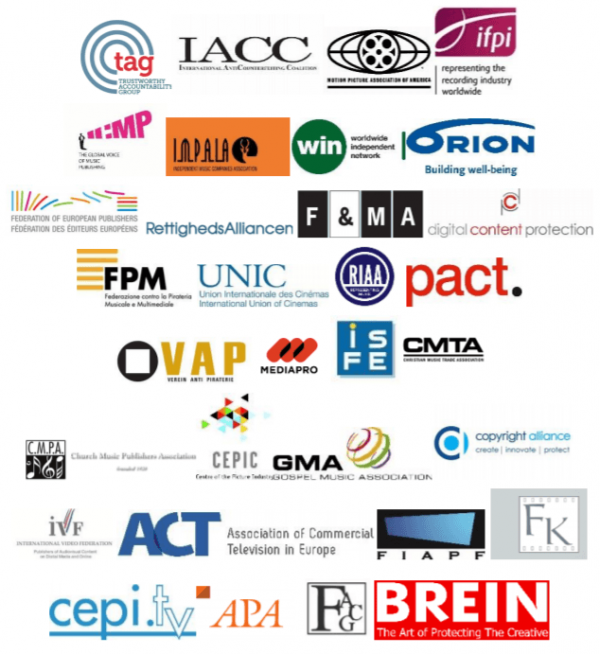 This week, in a report detailing the challenges social media poses to intellectual property rights, UK anti-piracy outfit Federation Against Copyright Theft published a list of techniques deployed by pirates that hinder their investigations. “Website registration details are often fake or hidden, which provides no further links to the person controlling the domain and its illegal activities,” the group reveals. Protected WHOIS records are nothing new and can sometimes be uncloaked by a determined adversary via court procedures. However, in the early stages of an investigation, open records provide leads that can be extremely useful in building an early picture about who might be involved in the operation of a website. Having them hidden is a definite plus for pirate site operators, especially when the underlying details are also fake, which is particularly common practice. And, with companies like Peter Sunde’s Njalla entering the market, hiding registrations is easier than ever. “Investigating servers located offshore cause some specific problems for FACT’s law-enforcement partners. In order to complete a full investigation into an offshore server, a law-enforcement agency must liaise with its counterpart in the country where the server is located. The difficulties of obtaining evidence from other countries are well known,” FACT notes. While FACT no doubt corresponds with entities overseas, the anti-piracy outfit has a history of targeting UK citizens who are reportedly infringing copyright. It regularly involves UK police in its investigations (FACT itself employs former police officers) but jurisdiction is necessarily limited to the UK. It is possible to get overseas law enforcement entities involved to seize a server, for example, but they have to be convinced of the need to do so by the police, which isn’t easy and is usually reserved for more serious cases. The bottom line is that by placing a server a long way away from a pirate’s home territory, things can be made much more difficult for local investigators. 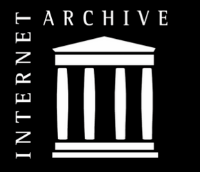 “Some torrent website operators who maintain a high DMCA compliance rate will often use this to try to appease the law, while continuing to provide infringing links,” FACT says. This is an interesting one. 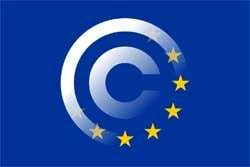 Under law in both the United States and Europe, service providers are required to remove infringing content from their systems when they are notified of its existence by a rightsholder or its agent. Not doing so can render them liable, if the content is indeed infringing. What FACT appears to be saying is that sites that comply with the law, by removing infringing content when asked to, become more difficult targets for legal action. It sounds very obvious but the underlying suggestion is that compliance on the surface is used as a protective mechanism. No example sites are mentioned but the strategy has clearly hindered FACT. “Current legislation is insufficient to effectively tackle the issue of websites illegally offering coverage of live sports events. Section 512 (c) of the Digital Millennium Copyright Act (DMCA) states that: upon notification of claimed infringement, the service provider should ‘respond expeditiously’ to remove or disable access to the copyright-infringing material. Most live sports events are under two hours long, so such non-specific timeframes for required action are inadequate,” FACT complains. Since government reports like these can take a long time to prepare, it appears that FACT and its partners may have already found a solution to this particular problem. Major FACT client the Premier League now has a High Court injunction in place which allows it to block infringing streams on a real-time basis. It doesn’t remove the content at its source, but it still renders it largely inaccessible in the UK. 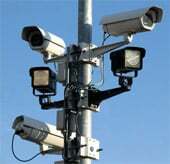 “Recent advancements in technology have made this a viable option to ‘cammers’ to avoid detection. Attempts to curtail and delete illicitly recorded film footage may become increasingly difficult with the emergence of streaming apps that automatically upload recorded video to cloud services,” FACT reports. Over the years, FACT has been involved in numerous operations to hinder those who record movies with cameras in theaters and then upload them to the Internet. Once the perpetrator has exited the theater, FACT has effectively lost the battle, but the possibility that a live upload can now take place is certainly an interesting proposition. “While enforcing officers may delete the footage held on the device, the footage has potentially already been stored remotely on a cloud system,” FACT warns. Equally, this could also prove a problem for those seeking to secure evidence. With a cloud upload, the person doing the recording could safely delete the footage from the local device. That could be an obstacle to proving that an offense had even been committed when a suspect is confronted in situ. “There is great potential in virtual currencies for money launderers and illicit traders. Government and law enforcement have raised concerns on how virtual currencies can be sent anonymously, leaving little or no trail for regulators or law-enforcement agencies,” FACT writes. 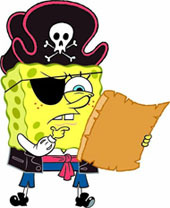 For many years, pirates of all kinds have relied on systems like PayPal, Mastercard, and Visa, to shift money around. However, these payment systems are now more difficult to deploy on pirate services and are more easily traced, even when operators manage to squeeze them through the gaps. The same cannot be said of bitcoin and similar currencies that are gaining in popularity all the time. They are harder to use, of course, but there’s little doubt accessibility issues will be innovated out of the equation at some point. Once that happens, these currencies will be a force to be reckoned with. from the committee addresses comments and objections to EME.